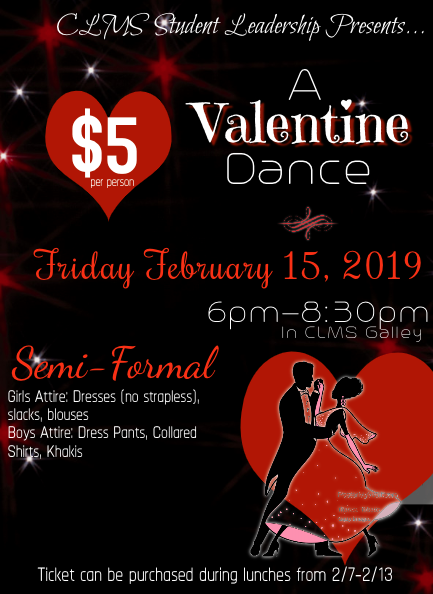 CLMS Student Leadership will be hosting a Valentine’s Day Dance on Friday, February 15th from 6-8:30pm in the Galley. Dress Attire is Semi-Formal. 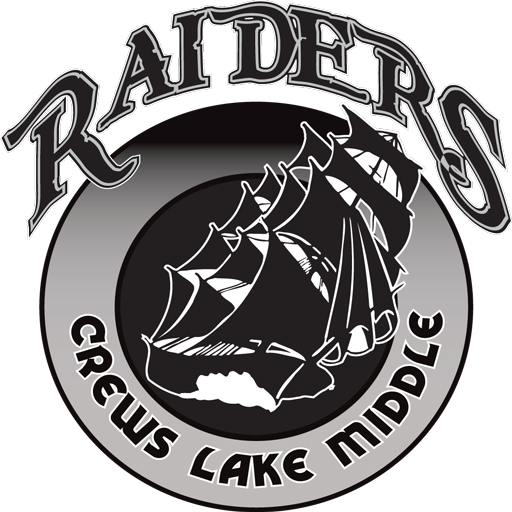 Tickets are $5 per student and will be sold during lunches from Thursday 2/7-Wednesday 2/13. Refreshments and snacks will be available for purchase.